We guarantee affordable carpet cleaning treatments for your home and business. Many companies quote low, but charge much higher prices upon arrival to the home if the carpet is extra dirty, or if there is additional square footage. We measure each room based on what needs to get cleaned. Don’t expect a “per room” charge or any other misleading special for just one type of treatment. At Cleanable Solutions we include total carpet treatment no matter what; because every room deserves some tender loving care. Cleanable solution use Rotovac power wand at every job. Carpet dry in 2.5 hours. 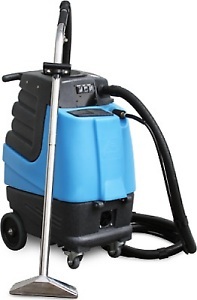 Our technicians will arrive at your home with a powerful vacuum, rotary scrubbers and power wand. We don’t sell steam cleaning or any other tall tales of a salesman. We clean your carpets properly without charging you per room, hallway or closet. We charge per square foot.